Goddess Brigit, hear me. Pray, make my kitchen fruitful night and day. As the fruits and flowers come into full bloom, may the plates never have the look of doom and gloom. The above is a small Spell for those who beseech the beautiful bounty of the Earth. Wicca deals with herbs and all things natural from the belly of our dearest Mother Earth. They are used in various Spells and in deepening our connection to the Earth. The use of plants grown at home has always been a part of the time-honored tradition of Wiccans across the globe. It is said fruits and vegetables grown in the backyards of homes are more potent for conducting Rituals, and thus empower the results of herbal Spells and Magic. 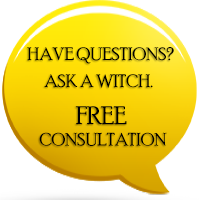 Our goal is to help you learn to grow a Wiccan garden with Magickal herbs and plants that are considered important for many common Spells and Rituals. Wiccans who do not have the luxury of owning a Wiccan garden need not despair! You can still grow these wonderful plants within the confines of your windowsills or balconies. 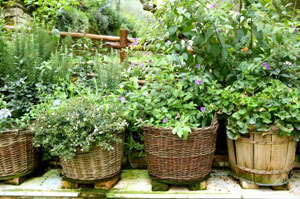 With the right containers, some herbs and plants can be grown indoors as well. There are a wide range and variety of plants to choose from, and we have listed a few for your various needs. If one wants to have protection and healing, Bay Leaves should be used. The Bay Leaf cannot tolerate harsh winters or extreme temperatures, as it comes from a Mediterranean climate. You can protect your plant from the cold by wrapping the head and the stem of the plant with fleece or pipe insulating material. Indoors, you would do well to avoid vents, AC ducts, doors, or any place that can be drafty or excessively hot. Rosemary is often used for protection and love Spells, and is quite easy to grow with compost as a base. Bear in mind that rosemary is more likely to be killed from over-watering. Using terracotta pots will help increase evaporation in the root zone. Also, remember to let the soil dry between watering. Wiccans use Chili Pepper for unwanted issues that need to be broken and discarded. The plant can be grown during Spring right from the seeds of the mother plant. Terracotta pots draw moisture out of the soil, especially in the warm, bright conditions required for growing chili peppers. Peppers require a lot of moisture to grow, and thus a plastic pot is not ideal. A good tip is to place the Chili Pepper plants in windows that face West or South, as they tend to provide the best light and the most warmth. Lavender is attributed to purity, love, and healing. It takes a little extra love and care to maintain an ideal environment for this lovely plant. Remember to rotate the pot every few days to allow sunlight to aid in even growth. Sometimes, adding a pebble lined tray filled with water underneath the pot will help increase the humidity around the plant, but make sure the plant sits above the water to prevent rot. Potent for success, is not typically recommended for indoor growing. Indoors, though, it will require at least 5 hours a day of strong sunlight and a steady watering schedule. These are just a few of the wondrous plants that you can grow within your home. Most people might not have the luxury of huge spaces, especially those who dwell within the city. If you are blessed with a large space, then you can opt for some of the larger plants for your Wiccan Garden. These trees are not only beautiful, but they are used for protection, forgiveness, and love Spells. The fruit of the apple promotes peace, healing, and love. For abundance, and good fortune, you should consider growing holly. If you dabble in Spells for wisdom and protection, then hazel is an excellent choice for your garden. A garden is composed of many living things, and you must nurture and care for them. For this reason you should only grow what is manageable in regards to the time you can invest. Never use chemicals to control pests; organic methods are always the best! Growing garlic or onions nearby will typically keep most unwanted pests away. If possible, try to harvest rainwater to continue to tap into the deep reserves and bounty of nature. Lastly, remember to never use fruit cages to protect your plants; you will want to share your bounty with the Faeries and Angels. Growing a garden is an excellent way to build a rapport with Nature, even in urban areas away from the beauty of nature. Remember that in communing with the Earth, you walk right into the arms of the Goddess. What's good to plant now that it's almost fall. Yes! Thankyou For Sharing This Fun Information & Awsome Green Thumb Ideas! I Was Looking For A New Home Hobby! Wonderful info to know,and learn,,. and love ur wiccan spell too... blessings l.s. I'm recovering from the Baton Rouge flood. The flood shows me hot out of balance and how little respect for nature. My veggie patch died during the flood. I want to begin again with herds that show respect for Nature. Some of the herbs mentioned in the post won't grow in Baton Rouge. Would a good herb garden be ok with out all mentioned?